Should We Be Bible Students? Many may ask, “What an odd question. Of course, we should be students of the Bible!” they might reply. But I tell you the truth: To be duped into believing that one is to be a Bible Student is blasphemous, even idolatrous and such a notion that one is to be a Bible student is a gross deviation from the commandment of God and the teachings of Christ himself. Those of you who profess belief in Christ and at the same time believe that you are to be students of the Bible, should pause and really think about what I just stated. First of all, the Bible is not your Teacher, Christ is. Did he not say this at Matthew 28:8-10? But you are not to be called ‘Rabbi,’ for you have one Teacher, and you are all brothers. And do not call anyone on earth ‘father,’ for you have one Father, and he is in heaven. Nor are you to be called instructors, for you have one Instructor, the Messiah. If anyone calls themselves a Bible student, what then are they really professing? This: That the Bible is the teacher and they are the student. Yet, Christ taught that we are to be his disciples (students). What accounts for the insistence among so many – even among so-called scholars and so-called Christian religous organizations – that one be students of the Bible? One reason is that they assume that The Bible is the Word of God. This teaching has gone unquestioned and unchallenged since the creation of the imposter religious system called Christianity, as it has been the primary vehicle promoting false teachings about God and Christ and – in particular – creating a deviation away from those teachings and ensuring that the masses in the world remain on that deviated path. 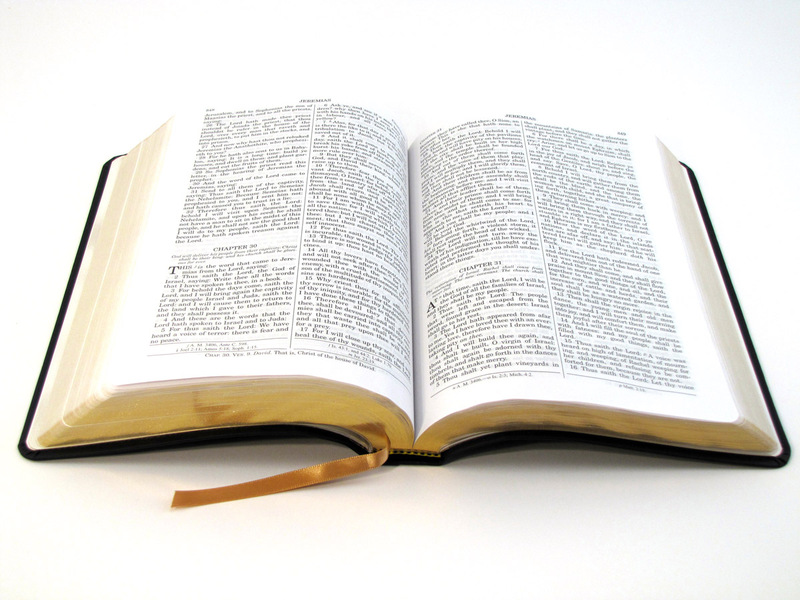 If one has come to accept that the Bible is The Word of God, then there would be no need to question or challenge it. This is the posture many professing Christ as Lord sit in. Second Timothy 3:16 says all Scripture is God-breathed. In other words, Scripture would be anything spoken by God. Additionally, since Christ is the Word of God – God’s only authorized spokesman – anything he says is Scripture as well. Jesus acknowledged at John 8:28 that he spoke only what his Father in heaven taught him. So all that he taught was not of his origination but that of the Father. Thus, all that Jesus taught was from the Father – Scripture. When you have lifted up the Son of Man, then you will know that I am he and that I do nothing on my own but speak just what the Father has taught me. When something is substituted and aggressively promoted as The Word of God – when it is not – then it becomes an object of idolatry and is blasphemous. Permit me to use Moses as an analogy. God used Moses to free the ancient Hebrew captives in Egypt and lead them to His holy mountain. Likewise, the Greater Moses – Jesus – was used by God to free and lead the masses in the world to His holy mountain (Kingdom). It would not be a book that would be that way, the truth and the life. It would be Christ only. Yet, what has occurred right under our noses is that a book has been promoted and elevated to a lofty position in place of God’s son and the world fell for it hook, line and sinker. The religious system called Christianity has an idol and image to itself and it is called The Bible and it has been promoted as The Word of God and people are being taught that they must study the Bible and join the religious organizations who house this idol within them. I tell you the truth: It is not a book that will lead one to the Father and that life (eternal life) Christ referred to, but only Christ. Christ in the sense of following him. In what way? His teaching. Therefore, we are to be his students or disciples. Now is that not what Christ ask us to become? Notice that there is no mention of a book or a religious system as being his teaching; but he himself is that Teacher. How Does One Teach Christ If Not From The Bible? You unbelieving and perverse generation,” Jesus replied, “how long shall I stay with you and put up with you? If those professing belief in Christ beleive that the Bible is The Word of God, then they do not really believe that Christ is The Word of God. (One cannot serve two Masters). If the so-called believing world really believed that Jesus is the only Word of God, it would not allow anything to stand next to him (or above him) as The Word of God. After his ascension into heaven almost 2000 years ago, those who would become disciples of Christ had no Bible. So how did they become disciples? How did they come to learn about Christs teachings? Obviously, via word of mouth and being taught by those who were taught by Christ himself; his closest companions, the Apostles. What many people overlook is that the Apostles and others who became disciples of Christ after he ascended continued to receive additional teaching from Christ from heaven via Holy Spirit. Those teachings are not penned in a book. Additionally, if there was some knowledge that they required, they did not consult a book (that they did not have) but would ask the Father in prayer – as Jesus directed them to do – and they would receive from the Father. This is utterly mind-blowing to me: To use prayer to ask the Father in heaven for wisdom, knowledge and understanding – in recognition that Jesus is the only channel God will use to dispense to us what we asked of him (in Jesus’ name) – and not relying on a book! What an incredible testimony and exercise of faith in God and Christ before all of the heavenly host that the invisible God through His invisible Son of God powerfully infuses us with His wisdom, understanding and knowledge through His Son and not through a book. That, indeed, takes faith. And, faith my friends, is a requirement to the worship of God. So, it takes faith to believe in and worship something one cannot see. And, neither can we see The Son of God. So God is to visualized as a Spirit, one who is invisible, not as flesh and blood. And, as Jesus said, our worship to the Father must be with Spirit and Truth. If anyone thinks that the Bible or the study of the Bible is to used to worship the Father, then they have missed the boat. Jesus is “The Truth” and it is only through Christ (his teachings) that the Father can be worshiped. Any other way is a waste of time. Please do not make “The Bible” that way. Do not put your confidence in a book. Put it in that what we do not see: The invisible God and His son. See the much bigger picture here that a great deception has been perpetrated that has been carefully crafted to steer you into believing that you must attach yourself to a book in order to learn about God and Christ and gain salvation to eternal life. Focus the eyes on the person who is the only one who knows the way to the Father. Stubbornly keep him the only Word of God and stand up nothing else beside him in that capacity. In fact, reject anything called The Word of God except the Christ. Use an under utilized and misused mechanism to gain understanding, wisdom, and knowledge from the Father in heaven: Prayer. This is the secret. What does a child do when it wants to know or understand something. It asks the parent. The Father is our parent! So ask him! When asking, do not turn to a book (The Bible) for the answer. Why? Because if you do, then you are essentially saying that God uses it as the way to communiciate with you. Remember, the Bible is not the way, Christ is the way and it is through him that the Father will transmit what we ask of Him to us. So truly be his disciple – his student – and not students of the Bible. Is there benefit reading the Bible? Yes, but know what it is not. Never should expressions such as “The Bible says or the Bible teaches” leave your lips. Rather, it should be Christ says or Christ teaches. He is your Teacher, is he not? Previous ArticleWho Is The Jesus of Today? Hi, very good article but one thing that I am a little confused about is that you state not to use the bible to teach or learn about God yet you quoted many times from the new testament indicating that you must have studied it? Are the references you quoted not within the book we call the bible? It is not confusing to me. When I first got into “the church” I did not know what I know now. Way back then that is what the religious organization I belonged to did, “study the Bible.” So I know the book well. As I matured, I realized that this book was getting more prominence than the one who is actually The Word of God and I had to put the Bible in its place. It is just a book, there is nothing holy about it. But most of what is written in this book is not Scripture (not sayings of God and Christ). What I quote is from “scrolls.” It is men who named those scrolls “The Bible” and elevated it to holy, authorized, and the word of God. The deception is that a book with the name “Bible” takes on a life of its own. When in actuality it is a lifeless object and made into an idol. I quote from “The Bible” because this is what people connect with. From there, I encourage people to view it for what it is and to TRY prayer and asking God for His wisdom, understanding, and knowledge and trust that God will give it through Holy Spirit via His Son and not via a book! Much more is gained by tapping into God through His Son rather than through a book. I know, it really works! I am astounded by what I know, understand and perceive simply because I asked God. (Be careful what you ask for, you might not like it). Many people know the Bible, but do they know God and Christ? These are two entirely different things. I chose to know God and Christ, not a book called by men, the Bible that tells us that this verse says this and that. The Creator of the heavens and the earth cannot be reduced to and relegated down to verses and some 1600 pages in a book. King Solomon, one of the wisest men ever to live did not get his wisdom from a book. I have come to understand the source of his wisdom and how he attained it. He asked His God. I know that many will not understand or agree with what I write on this blog. I get it. I understand their basis of understanding is from a book of 1600 or so pages. This what limits one’s understanding and knowledge. The knowledge about God and Christ (and Christ still teaches) is much more than what is found in a book. I have experienced the reception of Holy Spirit. It is quiet. It does not through one into a frenzy. It is sobering. And when you speak or write, many will not understand you. Some will get it because they FIRST see the light (truth in what you say or write) and then SECONDLY approach God in prayer and ask Him for wisdom, understanding, and knowledge (sent from the Father through His Son and NOT through a book). But when God grabs you by the arm and gives you an “Ah! I see moment,” it is inexplicable!